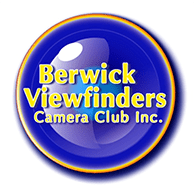 Berwick Viewfinders Camera Club Inc. VAPS Newsbriefs - Berwick Viewfinders Camera Club Inc. It contains VAPS announcements, information, and activities of other clubs/societies in Victoria. You can also subscribe to it so that it will be sent to your email address whenever it is published. Click here for the Newsbrief articles.